Songwriter for the TV show "Nashville"
Steve Pasch, a NJ native, grew up with 4 brothers, great parents, and a love for music that started at a very young age. He listened to his older brother’s record collections and taught himself how to play guitar and bass and started writing his own songs at the age of 13. He knew that his path in life would be lived to the beat of a musical soundtrack. At the age of 15, he began singing in local bands with his older brothers’ friends, doing concerts at local events in NJ and NY. In 7th grade, he met his songwriting partner Anthony Krizan. Over the next ten years they recorded original music and played hundreds of concerts. In their senior year, they formed NYC (the band). They began playing the now world famous NY clubs of Bleaker Street, The Bitter End, and Kenny’s Castaways. They also were a regular fixture at CBGB’S as well as NJ’s Stone Pony and clubs at the Jersey shore. Steve’s songs caught the ear of Sony publishing a year after graduation, and he started moving forward quickly. A record deal with Polygram followed the same year and manager Allen Kovac signed the band to Left Bank Mgt. in LA. After signing a new publishing deal with Warner-Chapel, Steve scored his first hits with Lenny Kravitz, “Stand by My Woman”, then Poco’s first country single off of their reunion CD titled, “When it all began”. The same year, Steve penned two singles for Canadian EMI artist Tim Karr and two more singles for LA metal super group, Contraband, whose members included players from LA Guns, Scorpions, Vixen, and Ratt. One of Steve’s favorite singles was by Nashville artist David Mullen who recorded, “Solid as a Rock” co- written with Greg Sutton, a veteran musician and songwriter from LA, who worked with Bob Dylan and many other artists. After being a part of the NY and LA scene for a few years, Steve desired a change in musical direction and Anthony went on to join “The Spin Doctors”. Steve decided to follow his faith to write songs that expressed his feelings and life experiences. He called on two old friends, Ed Nicholson and Ralph Barrientos, and the band, Three Crosses, was born. True to his word, Brian brought the tape to Benson and the label decided to sign Three Crosses to a record and publishing deal. Again Steve was on his way. The following year after 4 top ten singles and a #1 song, the band headed out on a 50 city arena tour opening for Michael W. Smith, with Jars of Clay. 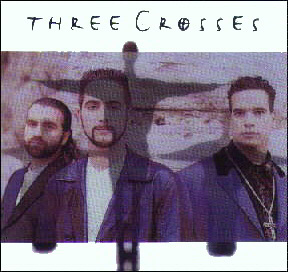 Three Crosses was nominated for a Dove award for best rock album of the year, a Billboard Music award for their first video, and also won a regional Emmy award for the same video, “This is not my home,” directed by Stan Moore. After three albums and over 400 concerts, the band went on a long term hiatus. Steve toured as a solo artist for the next two years and now is concentrating on songwriting. 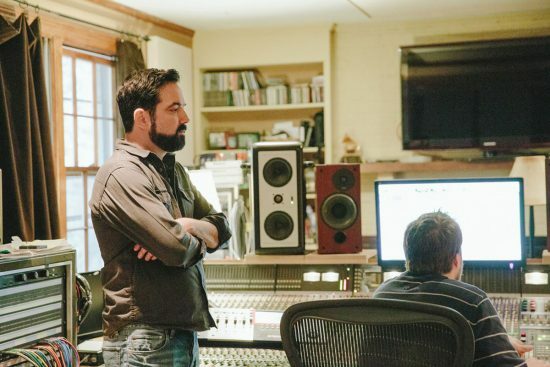 As a new resident in Nashville, Steve has reconnected with some friends and is a new member of the NSAI, writing on his own and co-writing songs as an independent writer, artist, and producer. With all of the accomplishments from Steve’s past, he does not look behind, but only ahead. “I truly believe that the best is yet to come. I know that if God is in whatever I do, great things will happen. I look forward to a great life in Nashville”. “This is a time for new music and new friends.” Keep your eyes and ears open. We’ll keep you posted.